Playgrounds in Hong Kong have been boring to children, as elements of risk and fun have been removed for parents' concern for safety. The government resorted to homogenous plastic play facilities to extinguish any liability and complaints. While adults wanted to play safe, children's opportunities for balanced physical, sensory, and social development diminished. A play consultant organization, Playright, came forward with social design initiatives that brought all the stakeholders—government departments, professionals, schools, and families—together to reach a common goal—better playgrounds. The Children's Playground Design Workshops and Junior Playground Commissioner Incubation Programme, in which children participated as the designer, allowed their ideas to inform the actual design of the pilot project at Tuen Mun Park Playground, which is due to complete by the end of 2017 by the Architectural Services Department. 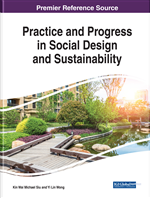 The aim of this chapter is to document and discuss how the co-designing of all the stakeholders, especially children, could make social change together. There are two parts in this chapter: The Purpose and The Project.